The top Armenian diplomat stated this on Armenian Public TV on Wednesday, reflecting on speculations about a new document on the negotiation table for settling the Nagorno-Karabakh issue. Later, Armenian Foreign Ministry spokesman Tigran Balayan confirmed that the matter concerned a 2011 Russian proposal that was discussed by the presidents of Armenia and Azerbaijan at a Russia-mediated summit in Kazan, but was rejected by Azerbaijan. 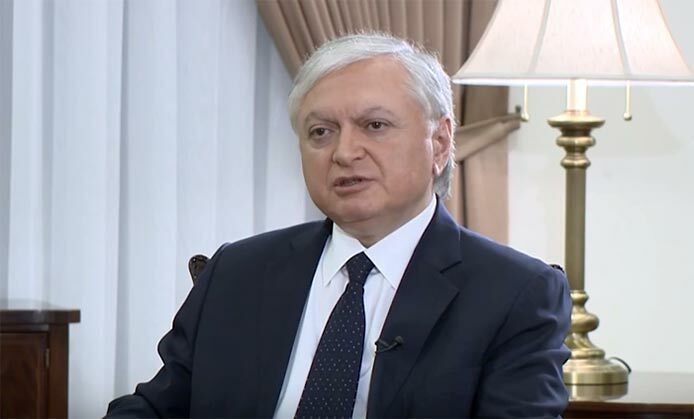 Speaking on Public TV, Nalbandian also addressed criticism voiced over Russia’s stance during the latest Karabakh crisis and challenging the current state of Armenian-Russian relations. “Armenian-Russian relations are not of a business nature, they are allied not only in word but also have a legal framework. This is obvious to all, including to Azerbaijan,” Minister Nalbandian emphasized.